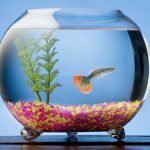 It may seem odd to encourage algae growth in your aquarium since most aquarium hobbyist wants to control and prevent algae growth. A lot of aquarium owners try everything to get rid of the algae in their aquarium. 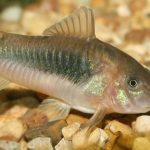 However outside of having an aesthetically pleasing aquarium, it is beneficial to try and promote algae growth in your Guppy, Livebearer or any fish aquarium tank. Many fishes like Guppy who are omnivores can get their vegetation nutrient from eating algae. For owners of Mollies, you shouldn’t have to worry about algae at all, they’re able to consume a lot of algae. Some people also like having a small amount of algae in their aquarium tank since it creates a more natural look to your aquarium. To encourage algae growth it’s actually quiet easy. You simply reverse the methods to control and prevent algae growth in your aquarium tank. 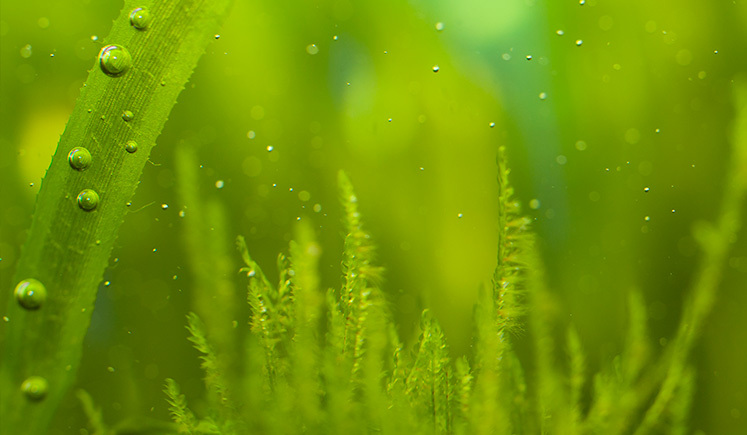 Reduce Water Movement — By reducing water movement, it will help encourage algae to grow in your aquarium tank. 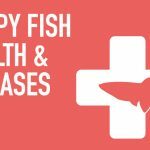 However, try not to reduce it too much since your fish still needs oxygenated water from the oxygen provided by either your filter or air pump to live. Increase Light Time and Intensity — It’s important that you’re growing green algae not the other types (red, brown and blue) if you’re growing algae for your fish to eat. 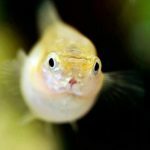 Green algae is the only beneficial type of algae that your fish will eat. In order for green algae to grow, it needs a lot of light to grow. So try increasing the time your lights are “on” by a few hours. The lights need to be “on” for at least 9 hours or longer. However be careful with leaving your light on for too long, as your Guppy fish still needs their sleep. Increase Temperature — Algae grows better with warmer temperature. However don’t increase it so much that your fishes get uncomfortable. Always refer to your fish’s care sheets and just increase it to the higher temperature range. 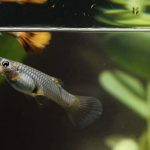 For reference, Guppy’s ideal temperature range is 75-79°F (24-26°C), so it should be fine to leave your temperature at 79°F (26°C). Adding Live Plant Fertilizer — After your cleaning your aquarium tank, sprinkle a little bit of aquarium live plant phosphorus fertilizer to your tank. By adding phosphorus, you’re feeding the algae with proper nutrition to increase the growth rate. 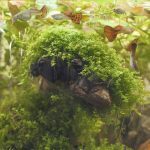 Growing Algae outside of the Aquarium Tank — If you prefer not to have your aquarium tank completely covered in algae for aesthetic reasons. You can encourage algae to grow in a glass cup or jar and then bring it into your aquarium tank afterwards for feeding time. Simply fill a glass cup or a jar with your aquarium tank’s water and snip some of your live plant’s leaves into it. Place the glass cup or jar near a window that receives a lot of sunlight. The leaves should be covered with algae after a few days.